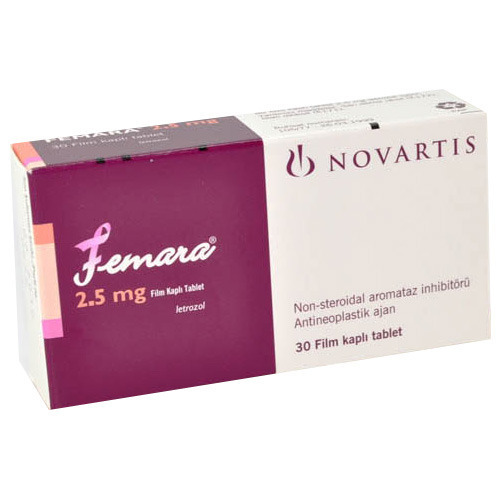 We have carved a niche as a well known firm of optimum quality Femara Tablets. Well known for their effectiveness and purity, these tablets are generally used for the treatment of cancer. These tablets are correctly processed by using premium quality chemical compounds and the latest technology at our vendors' end. Furthermore, we provide these tablets in various packaging options and at reasonable price. We “B. S. Medicine & Foods Pvt. Ltd.” established in the year 2014 at Nagpur (Maharashtra, India) are leading firm engaged in Wholesale, Supplier, Manufacturer, Exporter and Medicine Drop-shipper highly effectual range of Pharmaceutical Medicines like as E D Medicine, Sildenafil, Avanafil, Modafinil, Armodafinil, Pirfenidone, Naltraxone , HCG Injections, Tablets, Careprost , Anti Cancer Medicines, Anti Cancer Injections, Anti HIV Medicines, Pain Killer Medicines, Orlistat, Baclofen, Acamprosate, Mitrazepine, Quetiapine, Atomoxetine, Escitalopram Duloxetine ,Venlafaxine, Finasteride, Brands. In order to provide highly effective assortment of medicines to our clients, we are linked with reliable vendors of the market. The selection process for the reliable vendors is done by our procurement agents on various parameters like financial condition, control measures, market reputation, production techniques and delivery schedule of vendors. We have deployed highly experienced and capable team of professionals. Our team of professionals works in synchronize manner with one another for the streamline functioning of the business and to achieve maximum client satisfaction. Under the leadership of our Directors “Mr. Barun Kumar Chauhan”. We have gained huge success in pharmaceutical sector. We are offering some well-known brands like Sai Avana, Novartis, Albert David, AstraZeneca, Cipla, Pfizer, GSK, Roche, Aventis, NATCO, Dr. Reddy's, German Remedies, Torrent, Centurion Laboratories, Sun Pharma, etc.